On this day of the Epiphany, I find myself thinking how dark the World must have been back then. Today, with electricity, we really don’t know true darkness; we take the ability to easily light our homes completely for granted. Have you ever been on a cave tour before? While fascinating, caves are damp, cold, and dark. Inevitably at some point on the tour, the guide will have everyone either sit or stand still while he (or she) turns out the lights, plunging everyone into complete darkness, our eyes straining to see something, anything, but seeing nothing. I hate being in the dark. Some of my worst nightmares involve being unable to see, shadows, blurry vision, stumbling and confused in the black. It’s suffocating. To me, this is what our hearts are like without Christ. Suffocated, dark, nothingness. Have you ever stood in your driveway, looking up at the night sky, seeing only a few stars or the moon. To me, this is the world with Christ around us, but not within us. Have you been camping in a place away from the cities and light pollution? The night sky reveals so many thousands more stars than we can see in our neighborhoods. Star light illuminates so much more than you might realize, but the light pollution prevents us from seeing it. The message of the Wise Men seeking and finding the Christ child completes our Christmas story. To find the babe, they follow the light emanating from a star in the heavens. Not just any star, but THE STAR, that leads them to Christ, to God, to His Incarnate Word. This starlight illuminates the way - then and now - because His truth is the Light of the World. Today many of us struggle in the darkness of this world. We fill our lives with an artificial light that pollutes the brilliance of starlight. How many times does our gaze look to the starlight and we want to follow, but aren't willing to commit to the journey. We aren't willing to change our lives, leave our old lives behind, and follow that star in search of God. But we need to know the light of Christ. We desperately need to know that God is with us, within us. This knowledge is what keeps us from being suffocated by the darkness or blinded by the world's artificial light. 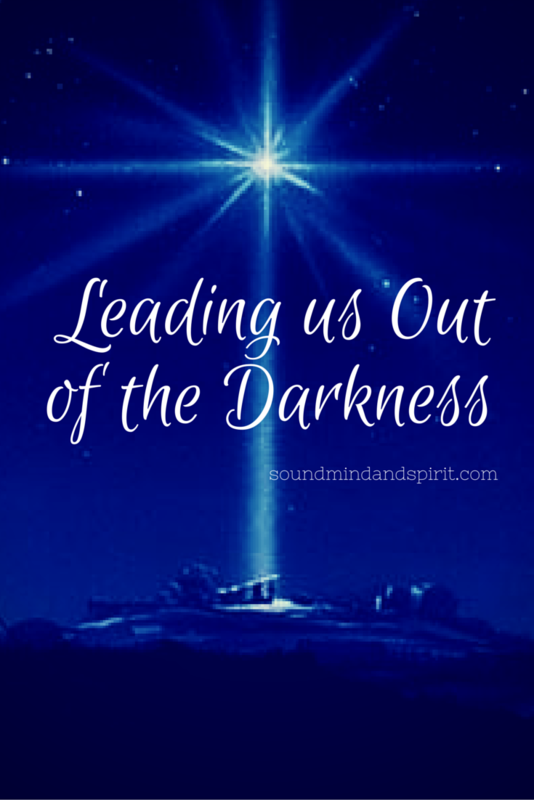 This year, at the end of Christmastime, let the Star of Bethlehem lead you to Christ today, to seek Him, His truth and His light.